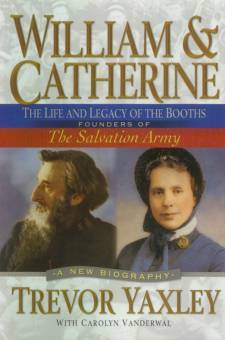 Incorporating the text of Through Blood and Fire, this biography focuses on William and Catherine Booth as a couple in active ministry. A thorough and exciting read. Published by Bethany House USA, distributed in New Zealand by Castle Publishing. This book captures the indefatigable spirit of the Booths, whose fierce dedication and tender hearts have spawned an international movement that preaches the gospel and meets human needs in 108 countries of the world. Yaxley's work echoes the murmur of a hungry child, the anguished cries of the lonely masses, and the compassionate call of a redeeming Love boundless as the ocean.